We offer a FREE Accident Management service for all our customers. Why do I need accident management? 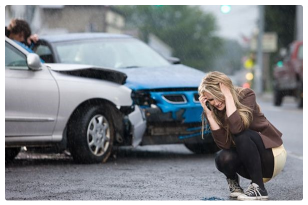 XLCR Vehicle Management Ltd understands that for companies like yours, company car accidents put business profitability and customer satisfaction at risk and use valuable time and effort to get the vehicle back on the road. 40% of company car drivers are affected by an accident every year and it's a challenging process, managing both the claims and repairs. With our new Accident Management programme, we can handle all of this for you — what's more, it's totally free and can used on all your company vehicles. assistance and support in the recovery of losses. Q: How I report an accident? A: Telephone: 0844 493 5811. Q: Can I track the progress of my repair? Q: Is the service available for any type of contract? Q: Does the service include SMART repairs or alloy wheels? A: We are able to undertake SMART repairs – they typically include minor scuffs to wing mirrors. The costs will need to be under your excess as the insurers will not cover these. Alloy wheels are outside scope and would only be repaired if there was additional damage to the vehicle and the wheels were impacted as result of this incident. Q: Can you provide refurbishment repair for end of contract damage? A: Yes, the full cost is borne by the customer as not covered under insurance policy. Call us to discuss Accident Management further on 08000 833 711.